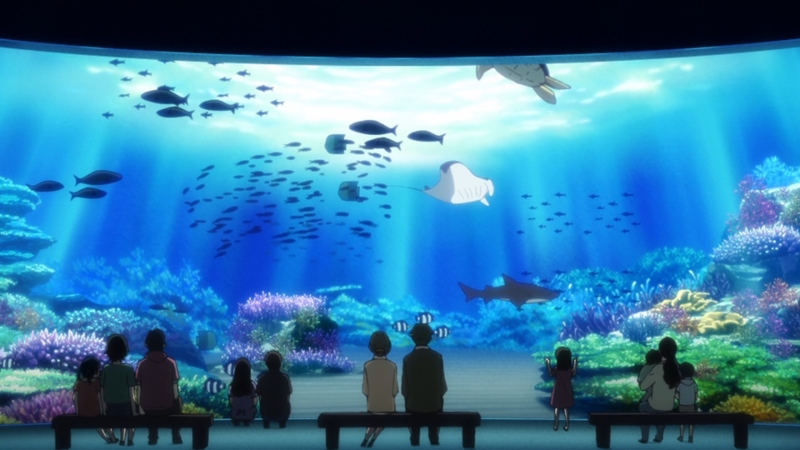 This was just another strong episode and a reminder why this series is so good. It kept the focus very much on Touko and Shigeru. I enjoyed how that continued even after Natsume came to live with them in the flashback. One thing that can be lost at times is how these two view Natsume and the events surrounding him. The ending was one of the best parts. Obviously the partner crow is a youkai, but because the story is from Touko’s point of view we never see it. 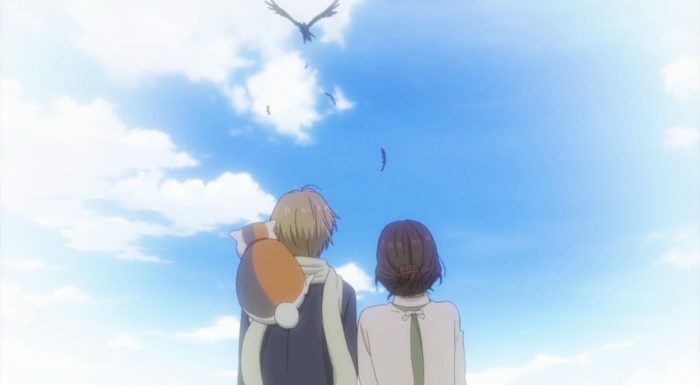 It just shows how these two have accepted Natsume into their lives and how they interact with him. Other families would have called him a liar or been disturbed by him mentioning something they can’t see. 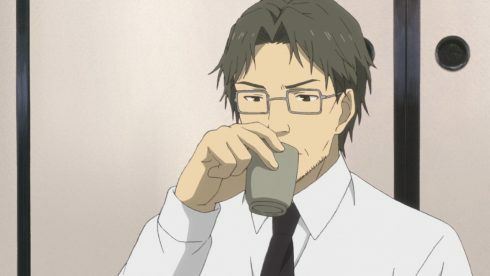 Instead Touko doesn’t mention it. I wonder how many other incidents she simply didn’t point out a discrepancy between their viewpoints. Now I suppose you could say that a family challenging each other isn’t a bad thing. If a family member said they saw something that I couldn’t….yeah I probably would mention that to them. But this family is a bit different. Both Shigeru and Touko know what Natsume has been through and that denying his views would only hurt him. Their bonds are stronger than at the start, but it is a difficult subject. 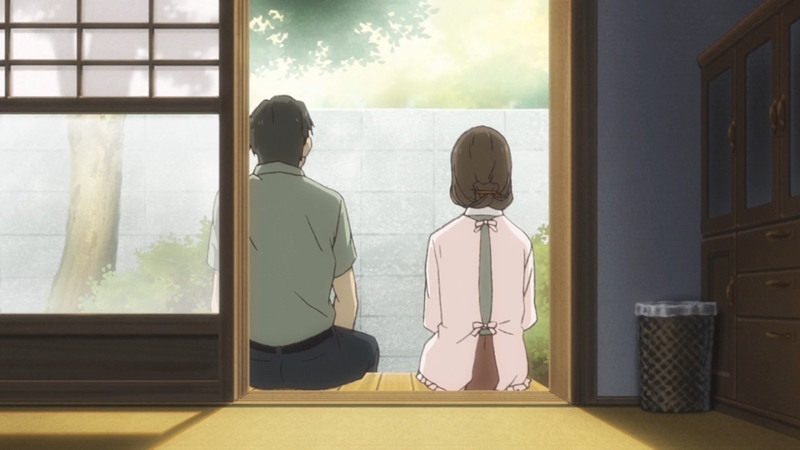 Also I like to think that Touko simply believes that Natsume really can see something she can’t. Not that she thinks he is crazy or lying, but that they simply see different things. 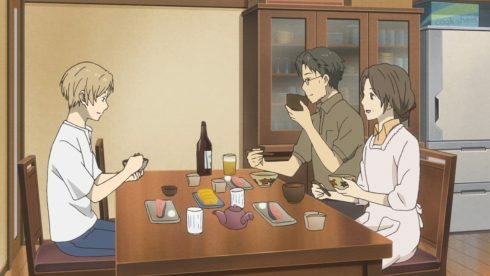 Natsume has been part of her family for a while now and there is trust there. 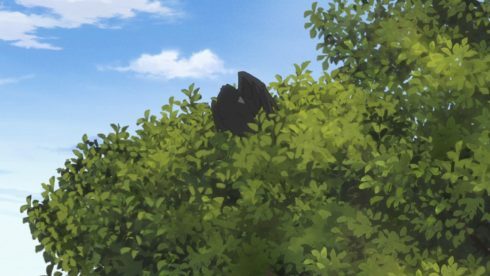 Obviously there isn’t much reason to make up a story about a crow and also it does give peace to Touko. The crow she’s always worried about wasn’t alone after all. There was a third option between the scenarios that Shigeru mentioned. The crow may not have met his partner yet, the crow may have lost his partner, and the crow may have a partner that normal humans simply can’t see. 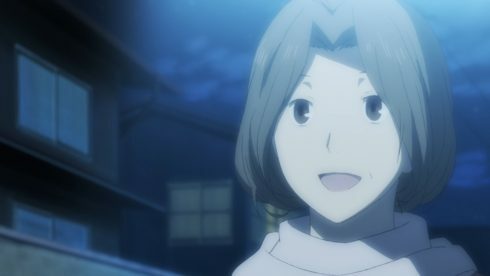 Of course she doesn’t know he can see youkai and has to rationalize it in other ways, but she does have faith in Natsume himself. Something that the people he lived with over the years just didn’t have. They believed in themselves, but never in this orphan dropped into their care. It is clear how there was a sense of loneliness despite how happy they were. 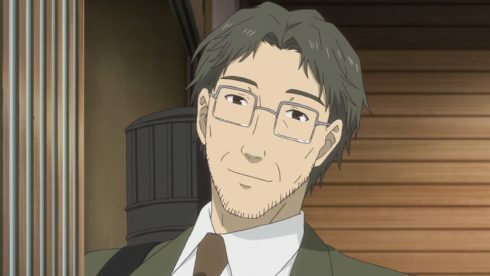 Touko is a caring person and really did want someone to take care of. 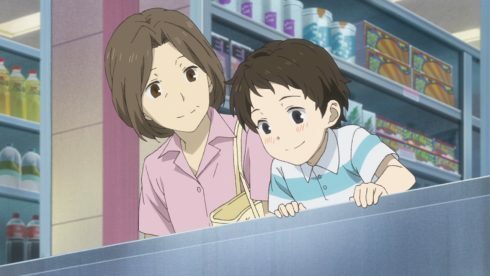 The kid at the grocery store helped trigger that kind of response from Touko. It is just that Touko happens to be a very classic worrier. 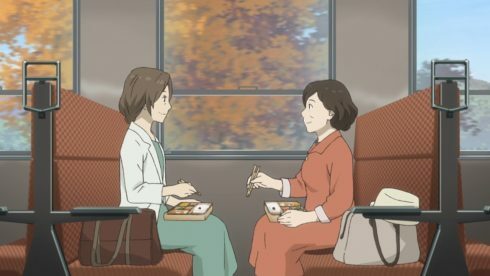 Even going on a trip left her worried about Shigeru eating alone. Having Natsume really does help these two. It gives them a third member of the family to care about, but also someone who will be there even if something happens to one of them. There is no having to worry about one of them being a lonely crow that may not be able to survive alone. The crow side of the story was interesting. 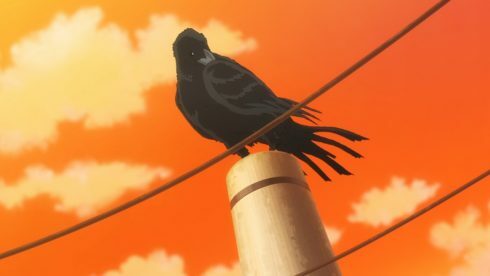 Touko for a while had this connection to that crow and was always a bit worried about it. And that just shows how she gets worried for anyone that she interacts with XD. But the crow stayed surprisingly connected to events for the whole episode. Natsume first meets the crow at the start and then we see it numerous times after that. I’d guess that the partner crow possibly died around the Fujiwara home and that is why this crow continues to live right around there. As far as the crow is concerned its mate is still around so it continues to go on with life. 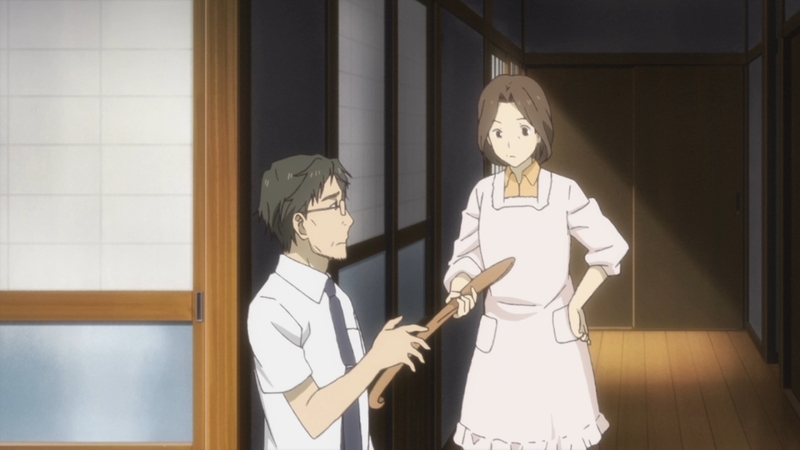 In some ways you could say that people might consider Touko as weird as Natsume XD. She may be talking to something that everyone can see…but the woman is talking to a crow. Not surprising that some would give her odd looks. Although I’m not sure if it is that weird considering we talk to our pets all the time. And if nothing else I enjoyed getting to see Touko interact with a friend of hers. 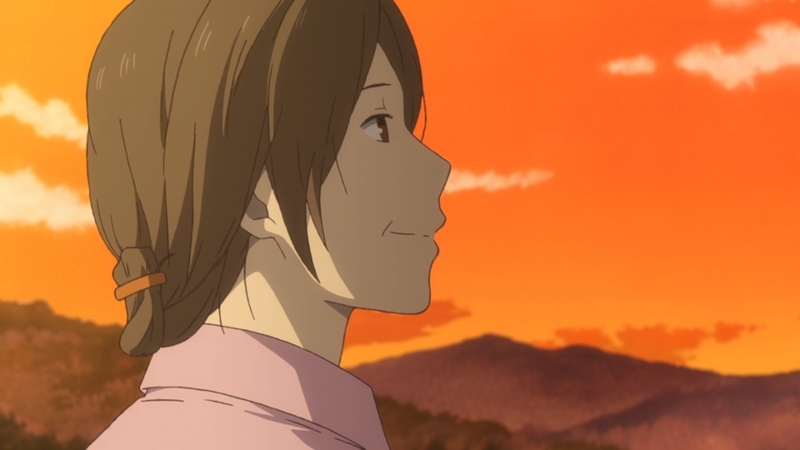 It just adds another dimension that we don’t often see from Natsume’s point of view. 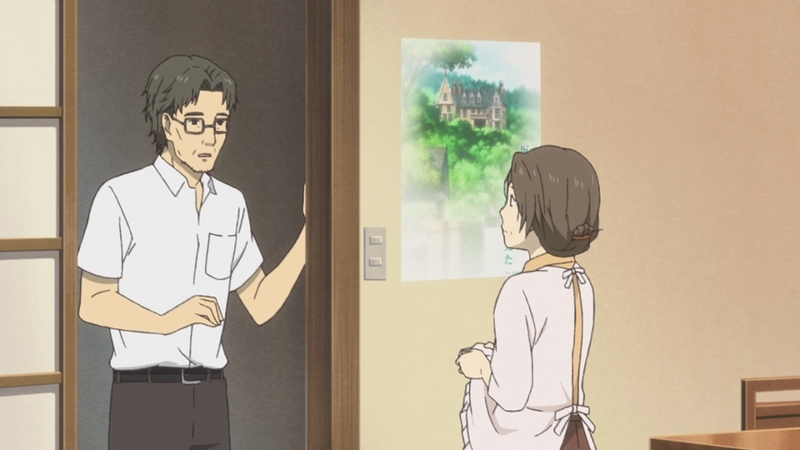 It was kind of interesting as well how long Shigeru thought by himself about Natsume’s situation. They didn’t immediately talk about it and instead Touko was patient and let Shigeru ponder on his own. 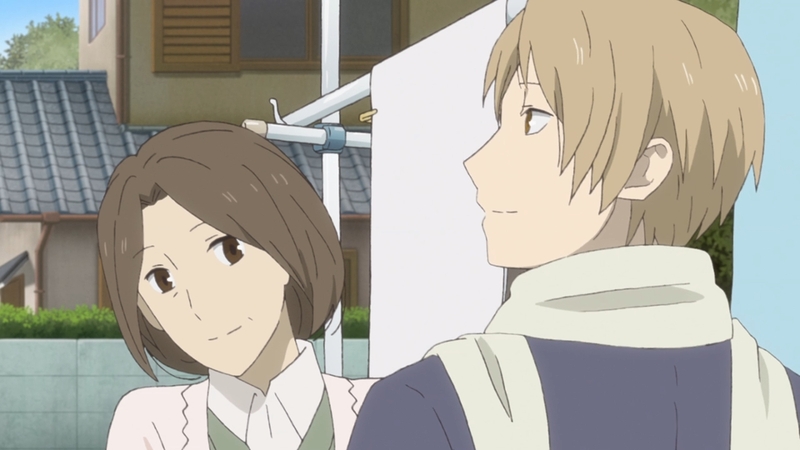 In that sense it kind of shows why they are both so patient with Natsume. It is clear he has things going on and isn’t telling them everything, but they continue to wait. These two patiently care for him and wait for those moments where he opens up. It is awesome how Natsume asking to keep Nyanko Sensei was the kind of moment Touko was waiting for. They just want him to be part of their family and be a bit selfish. In the end this was just a really strong episode. This kind of episode reminds you why this series is so good. It isn’t as if this episode is far beyond the quality of the average episode for this series. 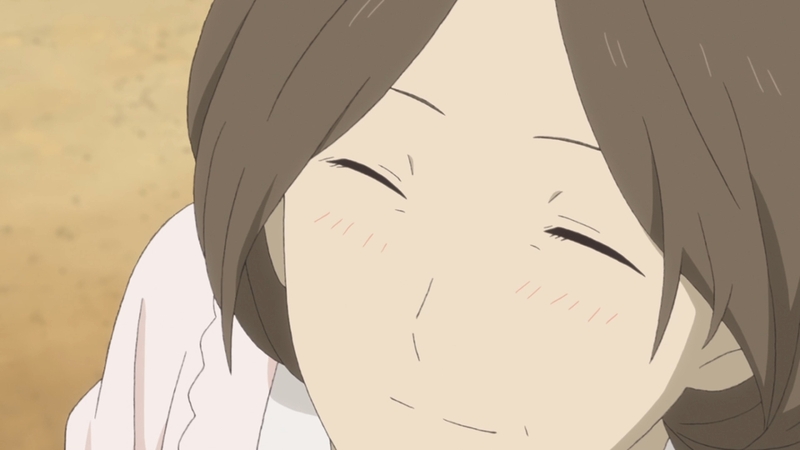 The quality for Natsume is just really high almost all the time. I’m curious to see how next week will play out. 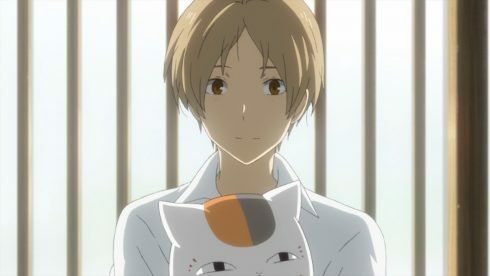 The focus returns to Natsume for another likely emotional story.